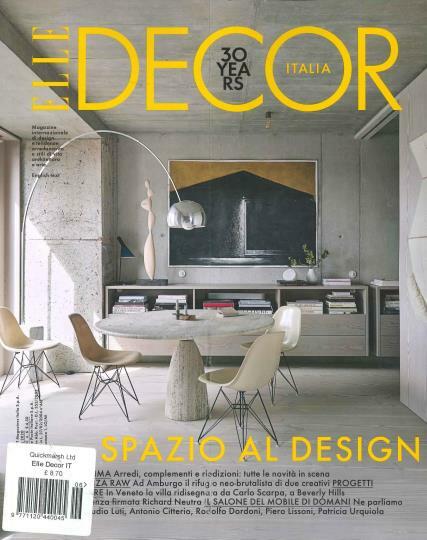 Elle Decor Italian is a typescript exhibiting international home designs. A comfortable house is a great source of happiness’ and it is the perfect coach to show you the way to this happiness. Buy a single copy or subscription to Elle Decor Italian magazine. The style it possesses is classy and modernistic. The phenomenal contents of it inspire the readers to dream for such lavish homes, consequently turning on the people to work hard in order to get their dreams fulfilled. Taste varies from person to person and so varies the designs of the furnishings, gratifying the desires of all. Its quality of being eclectic has made its readership grown to over millions. The accounts of eminent designers and architects familiarize the readers to such creative personalities. And the ideas suggested by these experts are appreciably helpful. It highlights the latest household products and tools to embellish your homes magnificently. The furnishings and designs are enormously swanky galvanizing the readers. Presentation of designs and style are marvelous holding the attention of readers unmoved. It has worldwide network of 25 editions. It displays all funky products giving your house a chic look. It’s on the lips of every people belonging to today’s generation. A superb edition giving you the opportunity to capture a glimpse of world class famous houses located.